The now infamous Logan Paul "suicide forest" vlog has cost him his deals with Google and YouTube after pressure from public outrage. The video in question was taken down by Paul within 24 hours, but it had already gained 6 million views. The video, (not so cleverly) titled "We found a dead body in the Japanese Suicide Forest...", was posted on December 31st, 2017 and featured a human corpse hanging from a tree. Paul promoted his video the day before on Twitter, saying, "tomorrow's vlog will be the craziest and most real video I've ever uploaded." YouTube initially issued the video a "strike" for violating their terms of service, but have now decided to take a more drastic set of actions against Logan Paul. YouTube announced late Wednesday that they were dropping Logan Paul from its Google Preferred program, which gives advertisers the ability to sell ads on the top 5 percent of creators on the platform. This action from YouTube won't stop him from running ads like many channels do, but it likely means lower income levels for the internet star. In addition, YouTube has halted all its original content with Paul. The Thinning: New World Order is currently in limbo after it was to be released this year. The movie, a sequel to Paul's popular YouTube Red sci-fi thriller The Thinning, was announced in late November and was expected to drop on Red, YouTube's ad-free subscription streaming service. Logan Paul has also been dropped from the fourth season of the Red comedy Foursome. YouTube initially released a statement about the suicide forest video after it was uploaded and taken down, sending sympathy to the family of the loved one who committed suicide and was featured in Logan Paul's vlog. Additionally, the streaming site went on to say that they prohibit the gory content that Paul shared. The statement reads. "Our hearts go out to the family of the person featured in the video. YouTube prohibits violent or gory content posted in a shocking, sensational or disrespectful manner. If a video is graphic, it can only remain on the site when supported by appropriate educational or documentary information, and in some cases, it will be age-gated. We partner with safety groups such as the National Suicide Prevention Lifeline to provide educational resources that are incorporated in our YouTube Safety Center." However, the statement was welcomed with a barrage of criticism and several petitions were started to get Logan Paul removed from YouTube. One of the petitions gained over 400,000 signatures in the course of a few days. The general public along with celebrities and politicians further demanded that YouTube take a different course of action when dealing with Logan Paul, which resulted in yet another statement. This time, YouTube apologized for the "lack of communication" and mentioned that there will be more news to come. The statement continued by saying that suicide is not a laughing matter and that the tragedy should not be something that brings more views to the site. The company then indicated that it would look at "further consequences" and would share more soon about "steps we're taking to ensure a video like this is never circulated again." True to their word, YouTube stripped Logan Paul from their main advertising platform, which will see a considerable chunk of his income taken away along with halting the production of his original content. 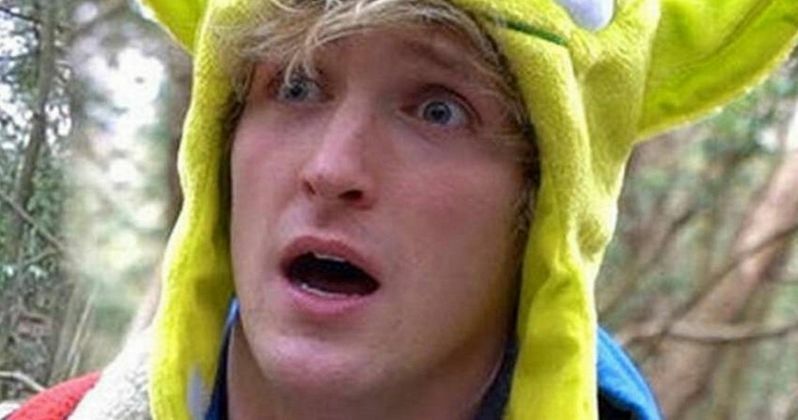 Though YouTube has taken actions against Logan Paul for the "suicide forest" vlog, his subscription numbers have skyrocketed to nearly half a million more people since the video was uploaded and taken down. Paul has since apologized via Twitter, but he has yet to post a new vlog after never missing a day from September 12th, 2016 to January 1st, 2018. The backlash continues, but Logan Paul's YouTube channel is continuing to gain popularity. You can read more about YouTube's new consequences for Logan Paul via The Hollywood Reporter.